Until You Hear That Bell. Until You Hear That Bell is a show about growing up in the world of Amateur Boxing. The show is set to timed boxing rounds. Three minutes, break. Three minutes, break. It was developed with and ran for three weeks at the Battersea Arts Centre. Yael Shavit is the Director and Helen Heaslip is the Movement Director. The show toured with CTN to boxing gyms all over the country, which I've chatted about on my blog (now referred to as "Not Poetry" as this website gets messier by the month) It was an incredible experience, performing to boxers and people who've never set out to watch anything like fringe theatre before. The show is now going all the way to the other side of that scale with a run at the Summerhall for the Edinburgh Fringe festival. 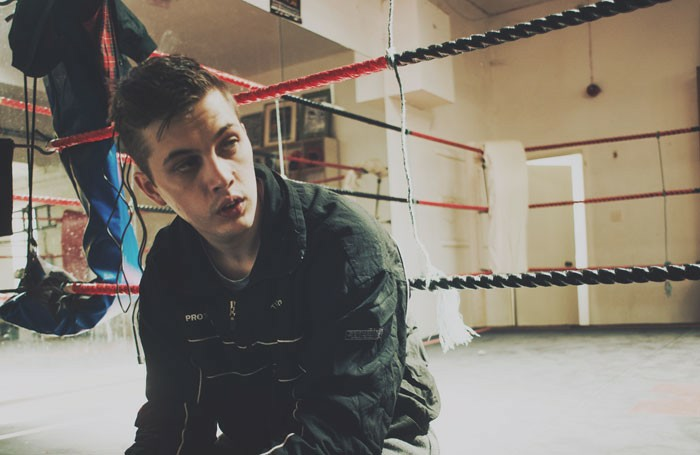 The journey for this show has had an incredible life, going to the Unicorn theatre, schools, community centres and boxing gyms. I think it deserves to be surrounded by this slightly more- industry-focused environment before hanging up the gloves. I'm touching up the script, working on a new intro and ending. What I'm trying to focus on is really highlighting how long-lasting relationships have to change and evolve in order to grow, especially with our parents. The link for tickets is here. Please, share the link, come in droves. I'm doing the whole run- I need as much help as I can get with this one. Thanks so much. The Stage His writing is nimble and light-footed, full of little asides. It’s funny – he has great timing – but he’s also created a piece with weight and range. The Skinny- Mahoney is no less than captivating, both as a physical performer and verbally, as a story-teller – a credit to Summerhall’s 2018 Fringe programme. Exeunt Rhyme usually draws attention to itself, but somehow Mahoney’s doesn’t, either because our investment in Sean’s progress as a character is so deep or because Mahoney keeps Sean’s register consistent. Either way, we lean forward into the character’s experience, rather than back to admire the writing. Down Stage Centre- cleverly showing us a lad growing in confidence over a span of 10 years, until he felt he could have taken on any one of those bruisers who had bloodied his nose so many times over the years. Plays To See there are no twists and no devastating emotional climax – so the whole thing hinges on Mahoney, and his lyrics, performance and on-stage personality. Which is no bad thing, because he is fantastic. Everything Theatre This is an extraordinary piece of work; funny, tragic and poignant, it turns an hour of monologue into an evening of poetic revelation. Sean Mahoney is a young actor and writer of serious promise, and this show is a real tour de force. This Little Thought For all its boxing technicalities, at its heart this is a touching, relatable coming of age tale that puts the good intentions and aspirations of a father and son’s relationship at its forefront. And it’s a bloody funny one, too.